The term “Once-through boilers” refers to a special type of water-tube boiler composed of tubes, in which water is input at the bottom, and steam is produced from the top. This panel shows a typical structure for such a boiler, comprising a drum, burner, pumps and other accessories, and a control section. 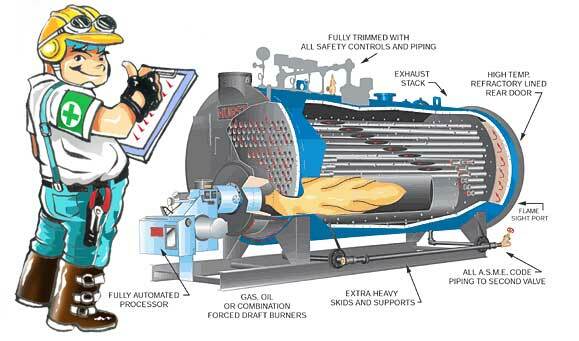 Since the drum is composed of tubes,there is little water in the drum, and the boiler thus offers little risk of damagingthe surrounding area in the unlikely event of a rupture…. 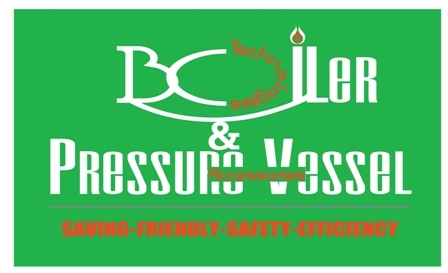 ไม่ทราบว่าเพื่อนๆ ได้ไปดูงาน Boiler & pressure vessel 2009 ที่จัดขึ้นระหว่างวันที่ 26 กุมภาพันธ์ ถึง 1 มีนาคม 2552 ณ. อาคาร 7 – 8 ศูนย์แสดงสินค้าและการประชุมอิมแพ็ค เมืองทองธานี กันหรือเปล่าครับ.